The 2016 Rio de Janeiro Olympic Games came to an end. In the closing ceremony, Tokyo held an eight-minute presentation and it was really nice. 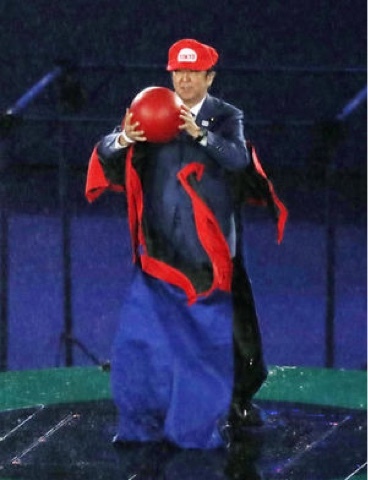 Japan's Prime Minister Shinzo Abe emerge from a large green pipe with Nintendo character Mario costume. Media said it was the best part of the whole ceremony. I think it was really nice and funny. Tokyo 2020 would be a wonderful event.